Quran 59:16 - (Their allies deceived them) like Shaitan (Satan), when he says to man: "Disbelieve in Allah." But when (man) disbelieves in Allah, Shaitan (Satan) says: "I am free of you, I fear Allah, the Lord of the ‘Alamin (mankind, jinns and all that exists)!" Quran 59:17 - So the end of both will be that they will be in the Fire, abiding therein. Such is the recompense of the Zâlimûn (i.e. polytheists, wrong-doers, disbelievers in Allâh and in His Oneness, etc.). At the time of Bani Israel, there was a man in a small village, called Barsisa. He was, what you call, a monk. But he was a true Christian. 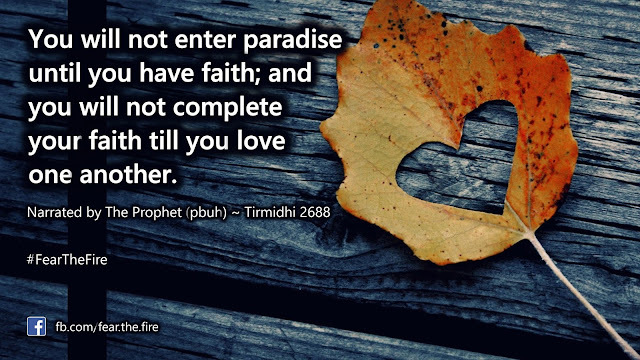 He believed in Tawheed (oneness of God) and believed Jesus (Son of Mary, pbuh) was a messenger of Allah. One day three brothers decided to go for Jihad (holy war). But they had a sister and they did not want to leave her alone. So they went looking for someone to take care of her. The town people suggested to leave her with Barsisa, because of his piety. So they went to him and when they asked him, Barsisa said, "I seek refuge from the cursed Shaitan (Satan)" and said No! This was because he was scared of falling into sin due to the potential fitnah it may cause. Then Shaitan came to Barsisa in the form of Waswasah (Whisperings). Shaitan (Satan) is very smart and knew Barsisa had a soft heart. So he told Barsisa, "What if they can’t find someone good and leave her with someone bad, wouldn’t that be your fault?" Now Barsisa did not realise this was Shaitan whispering in his heart, and because of his compassion for others, he decided to accept their request and help the woman. He let her stay in a house opposite the church. He did this so that it would be easy for him to leave her food outside the church and she could come get it herself. But after sometime, Shaitan returned. This time he told Barsisa, "Why don’t you leave the food closer for her, so that people don’t see her moving back and forth alone!" Barsisa agreed and started leaving the food outside the house. Sometime later Shaitan he returned and ask Barsisa, "Why don’t you go in and leave it on the table, so that no one sees her coming out and going in alone all the time!" Again, Barsisa agreed and he started leaving the food on the table. Then as time went by, Shaitan returned and said to him, "Why don’t you talk to her, she is all alone and has no one to talk to!" Barsisa agreed and started talking to her from behind a door (so as to screen himself). But this would lead them to almost shouting to each other to here themselves. Shaitan then asked Barsisa to just go in and talk to her, and finally, he (Shaitan) had got the alone in a room. Shaitan had completed the difficult part. It wasn’t after Barsisa and the woman committed fornication. And to make things worse, she also became pregnant. As soon as the baby was born, Shaitan returned, and said to Barsisa, "What have you done? Look at the result of your evil (i.e. the child), get rid of the evidence otherwise the brothers will kill you!" Barsisa killed the baby and buried it in the same room the woman was in. Shaitan then told Barsisa, "Do you think you can kill the child of a woman and expect her not to tell anyone?!" and so Barsisa killed her and buried her alongside the baby! He then made a fake grave outside and when her brothers returned, he informed them that she died of illness. After seeing the grave and make dua for her, they returned home and accepted Allah’s decree. Later that night, Shaitan came to them in their dream and informed them about what Barsisa had done and where the child and their sister could be found. The brother got up upset and confused, and informed his brothers of the dream, and they both said they had the same dream. So they believed that it must be true, and when and dug up the fake grave and found it empty. They then dug the place Shaitan showed them in the dream and found the child and woman! Furious, the brothers took Barsisa to the king to get his punishment. Barsisa knew that he would be given the death penalty. Shaitan came to Barsisa again, for the final time this time. This time he revealed himself and told him he was the one whispering the thoughts to him. And he said that he could save Barsisa, if Barsisa makes sujood (prostrate) to him once! Barsisa, out of desperation made Sujood to him, this confirmed his Kufr (disbelief) and Shaitan said to him "I am free of you, I fear Allah, the Lord of the ‘Alamin (mankind, jinns and all that exists)!" and left Barsisa was stoned to death and on the day of judgement he will be resurrected making Sujood to Shaitan! So look how Shaitan tricked him. He came to him as a friend, but was in fact his biggest enemy! Here's some classic traps of Shaitan in the 21st century. Try to save yourselves from these as far as you can. 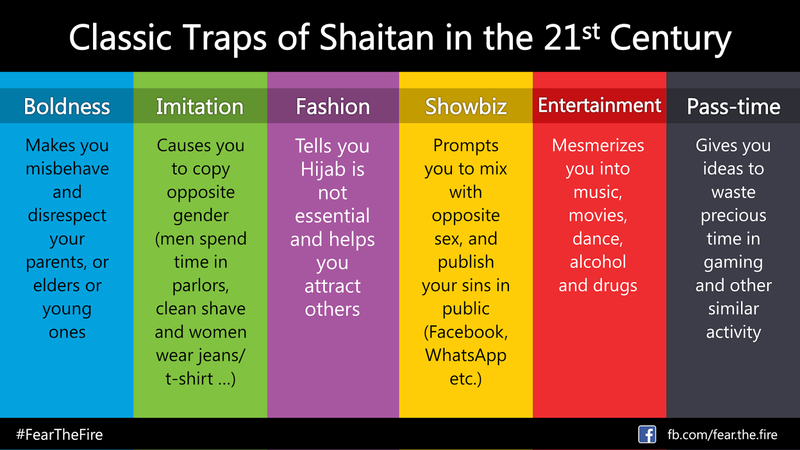 Shaitan will never make you sin directly, he will always trick you using whispers and he is more patient than any of us. So we should always seek refuge in Allah from Shaitan. Never think you have enough knowledge or are strong enough to take on Shaitan. This is why the Scholars of Islam are the ones with the most Taqwa, fear of Allah. So reflect on the story, if Shaitan told Barsisa to make sujood in the beginning, Barsisa would have said no straight away, but Shaitan has a plan in hand it was a step by step policy that made Barsisa finally breakdown and commit Kufr. 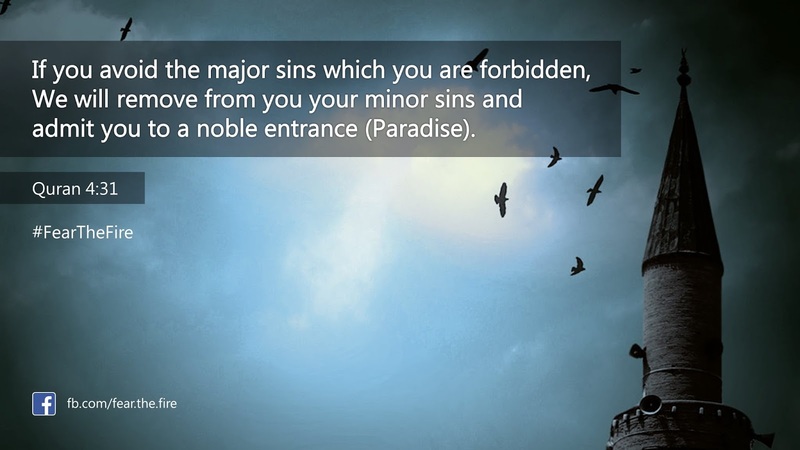 The Quran (4:31) eloquently says: "If you avoid the major sins which you are forbidden, We will remove from you your minor sins and admit you to a noble entrance (Paradise)".